Please note – this instrument requires Kontakt 5.7 or above. Originally released in 1999, the Holy Grail Piano was a revolutionary product. Doug Morton and Michael Scott had a simple principle in mind: to create a sampled grand piano without compromises. As it turned out, this was a rather ambitious aim that ended up taking them two years to realise – and that required three 128mb E-Mu EIVs slaved together to handle its cutting-edge design. 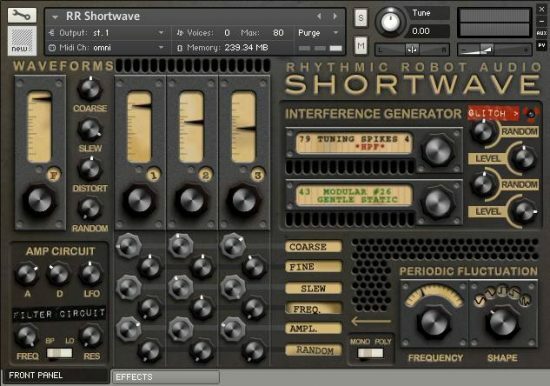 This may seem small by today’s standards, but the idea of using multiple machines was unprecedented back in the 90s; as was the idea of including multiple complex components like string resonance and pedal noise to give a sampled piano some real depth of character. The end result, though, was a sampled piano with unheard-of expressiveness: capable of going from delicate pianissimo through to really biting, aggressive sforzandos. To our ears it’s ideally suited to rock and blues styles, and would be a delightful jazz piano, too. The original source piano was itself unique. Doug and Michael had identified two piano technicians from the “real piano world”, Murray Wilson and Diane Hoffstetter of Santa Cruz, California, who had lovingly tweaked and upgraded a Kawaii grand to their own spec. Murray was particularly fond of a tuning created by Paul Bailey called “The Holy Grail”. This was a variation of a well temperament that created very resonant zones and sonority across the keyboard. 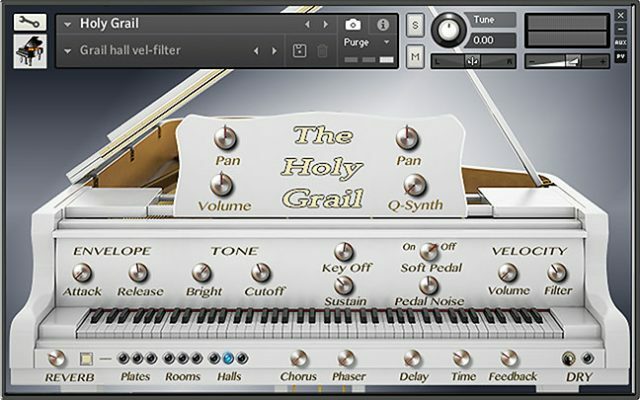 It was this ‘ultimate’ piano that Doug and Michael chose to sample for the Holy Grail Piano – and though the Kontakt version is tuned to standard temperament so it can sit easily with other instruments tuning-wise, the original recordings were made with this Holy Grail tuning and retain elements of the resonance associated with it. 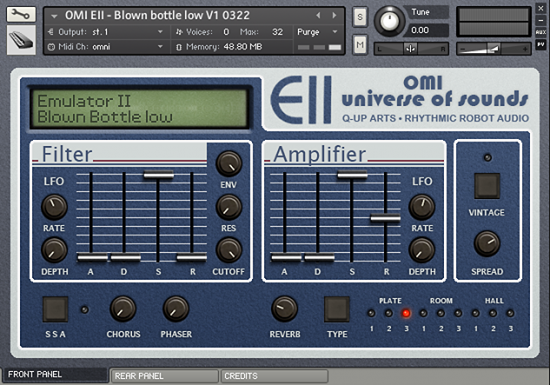 This, coupled with a unique source instrument, is what brings such a rich character to the samples. The sampling process was typically meticulous. At one point, Doug was convinced that he could hear a faint background sound in the mic channels. After several hours of searching, he traced this to rainwater running through the gutters of the studio… so he and Michael grabbed their tools and a ladder, went outside, and removed all the guttering. Their dedication payed off in the form of wonderfully clear, involving samples which are a joy to play. 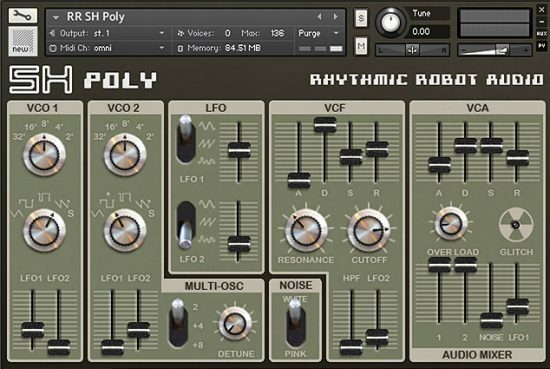 As well as the main Holy Grail NKI with several snapshots to choose from, the instrument includes string scrapes, hits and chilling piano effects, ideal for soundtrack work. 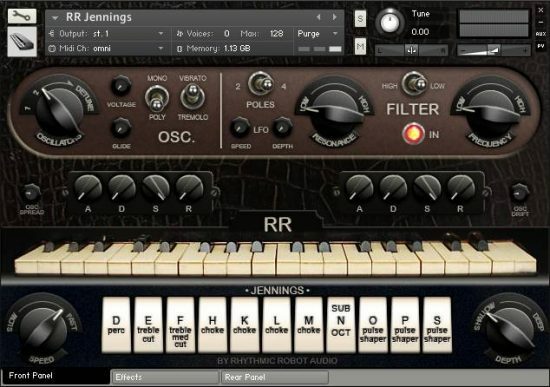 For rock, jazz and blues styles, this could well be the only piano you need… and you no longer need to rack up three Emulators to use it! Please note – it requires a full version of Kontakt 5.7 or above to run.